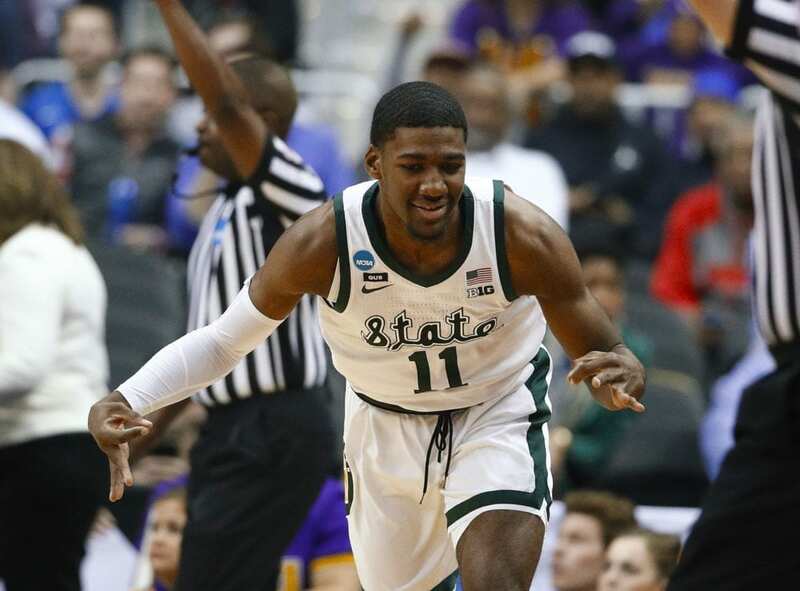 Aaron Henry scored a career-best 20 and fellow frosh Gabe Brown had 15 as the second-seeded Spartans beat third-seeded LSU 80-63 on Friday night to move on to the NCAA Tournament’s East Region final. 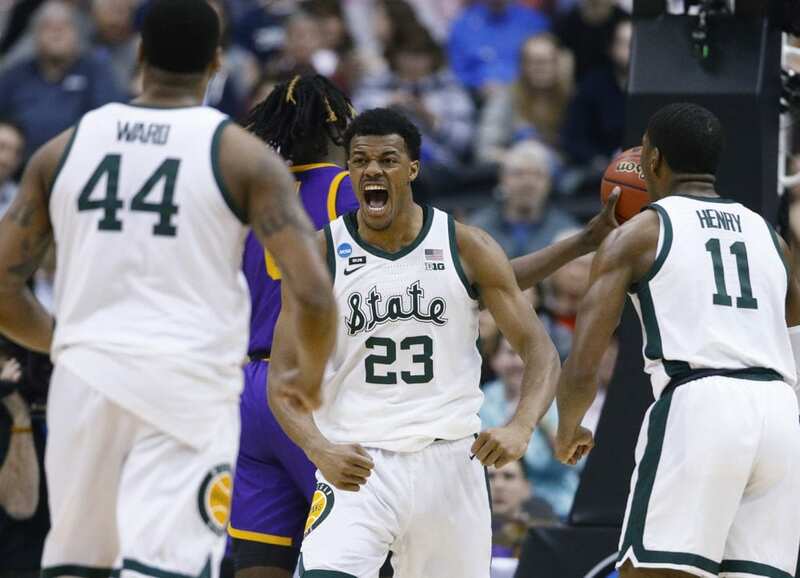 Coach Tom Izzo’s upperclassman-heavy team is one victory away from its first Final Four appearance since 2015. “They were huge tonight in a lot of ways,” standout point guard Cassius Winston said of Henry and Brown. “They won the game. They were confident, they trusted in their abilities, they took their shots that they were supposed to and they just stepped up in a big way. “They wanted it more, and they got it,” LSU’s Naz Reid said. Henry did his best Draymond Green impression as the do-it-all 6-foot-6 forward was all over the offensive end of the floor. He had eight rebounds and six assists and was 9 of 14 from the floor. Brown came in averaging 2 points a game and scored more than he had in his past 11 games combined. 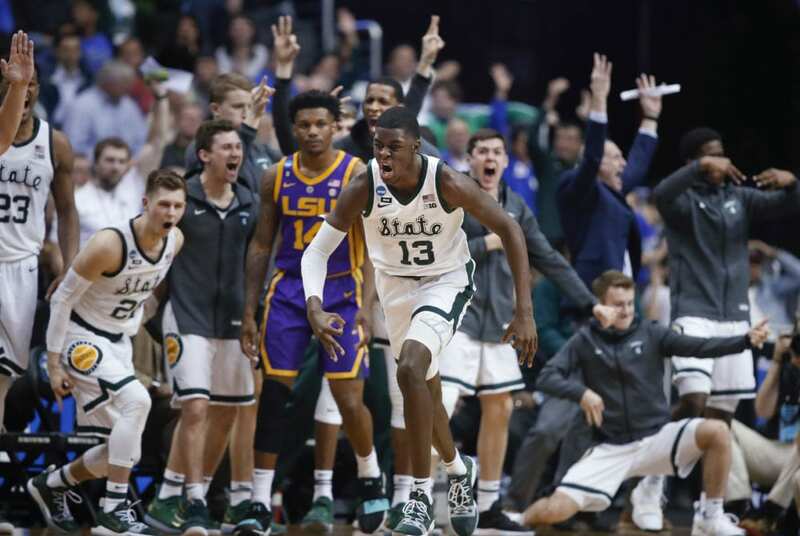 Brown had just five points in the Spartans’ past 12 games but became a central figure against LSU. 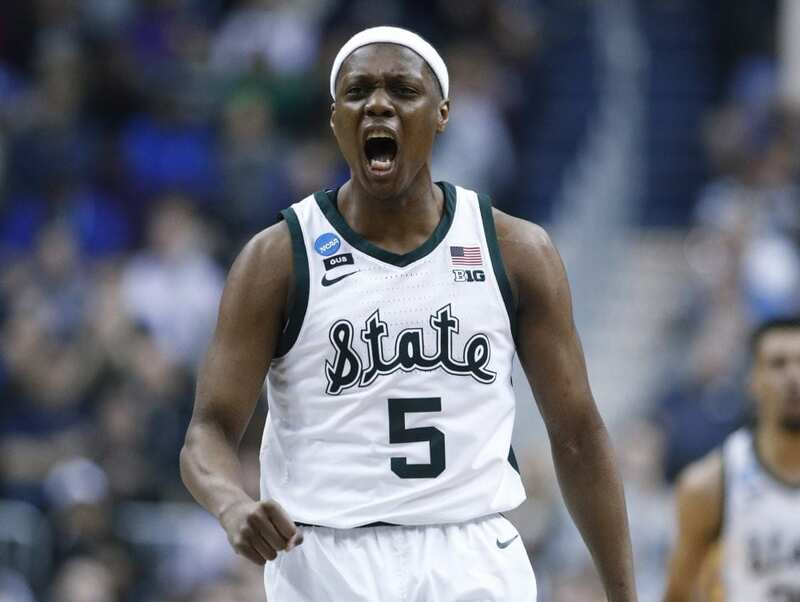 “Gabe Brown — he might’ve had a career, and by career I mean the whole season,” Izzo said. 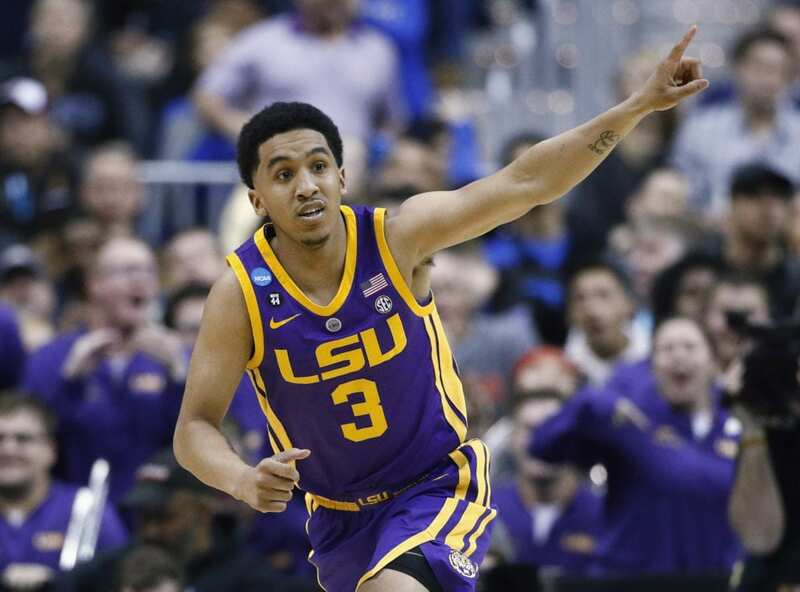 The loss plunges LSU into uncertainty given the corruption scandal that left coach Will Wade suspended indefinitely for comments he reportedly made about his recruiting efforts on a phone call that was wiretapped as part of an FBI investigation. 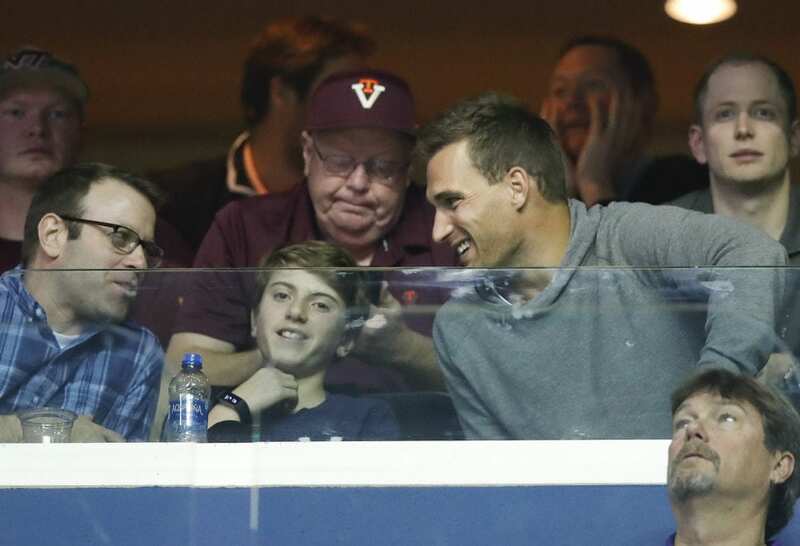 Wade, who had been replaced by interim coach Tony Benford, is expected to appear at a federal trial April 22. It’s unclear what ramifications the program will face. 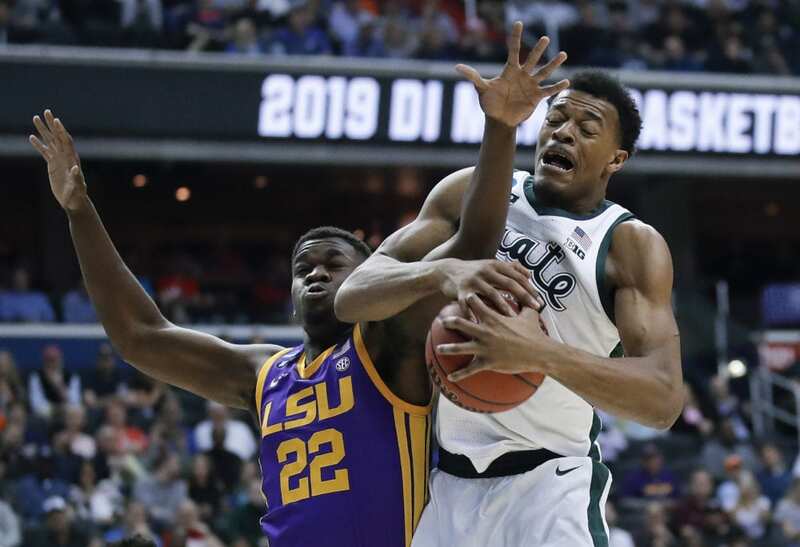 Freshman Javonte Smart, who was a surprise starter against Michigan State, is the player Wade was recorded as saying he’d “take care of.” Meanwhile, Reid and Waters are candidates to enter the NBA Draft. 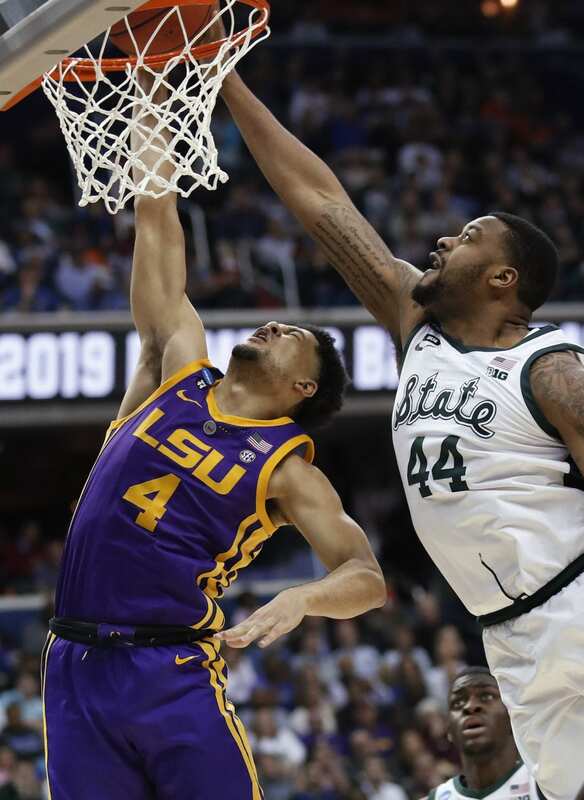 Michigan State big man Nick Ward said he expects to play Sunday after leaving in the second half with another left hand injury. Ward, who was playing with a brace on the hand after breaking it in February and missing five games, landed on it and said he was fine despite a deep bone bruise. 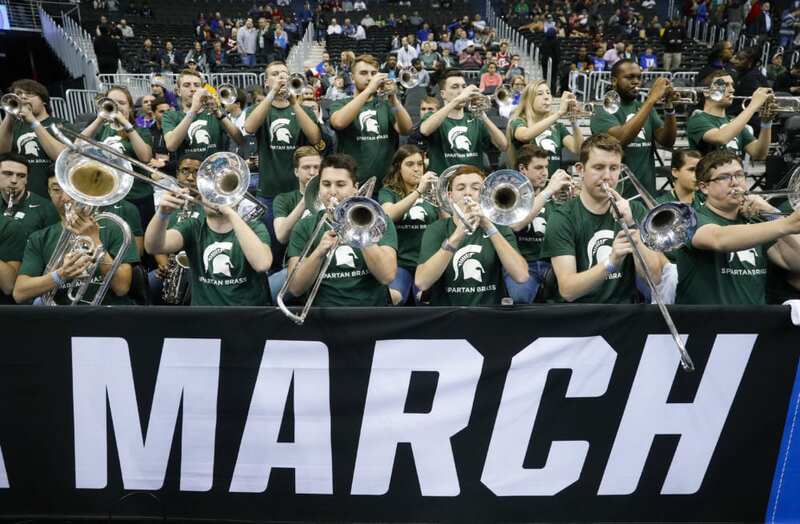 Be the first to comment on "Freshmen Lead Michigan State Past LSU And Into Elite Eight"